This entry was posted in American mythology, Fantasy, Fiction, Personal Stuff, Uncategorized, Writing and tagged author, black sand beach, F&SF, fantasy, Fiction, folk tale, folklore, Hawaii, journaling, K.D. Keenan, Kama-pu'a'a, Obsidian Mirror, Pele, SciFi, sea turtle, The Obsidian Mirror, volcanoe, writer, writing by K.D. Keenan. Bookmark the permalink. I found your blog while falling through an internet black hole about Obsidian. Thank you so much for the story. I lived on the Big Island for a few years 3,000 ft up in the town of Waimea (called Kamuela because there is also a Waimea on Kauai.) I know exactly how you felt on that helicopter in the canyon on Kauai; I think the pilots love to impress the haolies with their flying abilities. If you return to the big island, I would suggest staying at the Manago Hotel in Captain Cook, near Kealakekua – mostly locals, very reasonably priced, local type meals, close to mac nut plantation, and also maybe time it with the Rodeo at Parker Ranch in Waimea. Also check out Volcano House Cabins & Campsites, Located at Namakanipaio Campground. You pick up your bedding at the Volcano House, then stay in a 4 bed cabin, cook out on the grill. 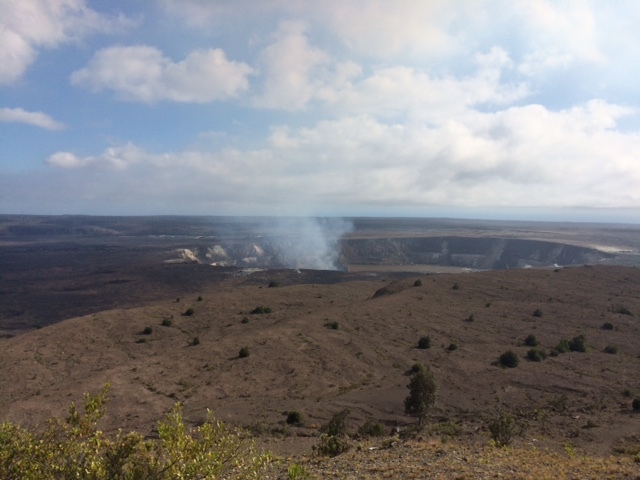 Very cool – no poisonous critters on Hawai;i. Also, there is an amazing artist in Kailua-Kona, MaryAnn Hylton, http://pelehawaii.com/, that creates an amazing physical representation of Pele as originally drawn by Herb Kane’. Thank you for making me home sick. Lynn, thanks for your comments! We ate at the Manago Hotel while we were in Captain Cook, but stayed at a B&B, and absolutely loved it. 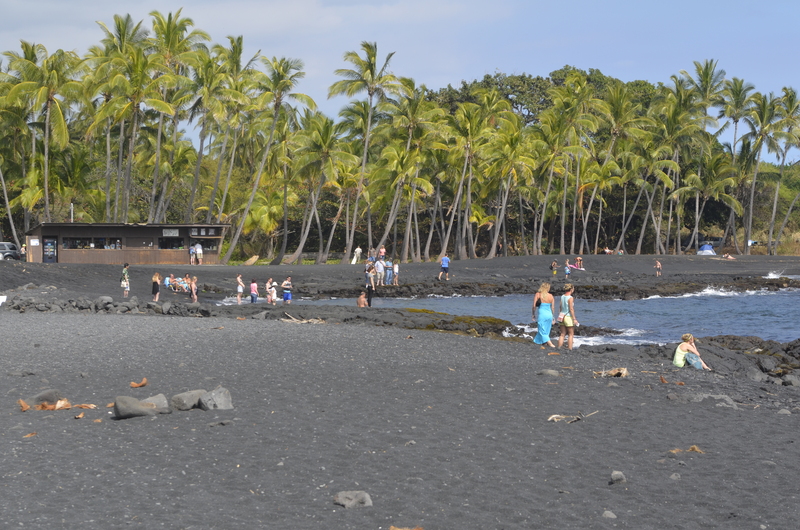 The Big Island is a favorite of ours, so I’ll probably be back yet again. If you read further in the blog, I talk about Molokai, which was an amazing experience in itself, and totally different from the Big Island. Are there really no poisonous critters on Hawaii? What about centipedes–we ran into two of those in our condo on Molokai. 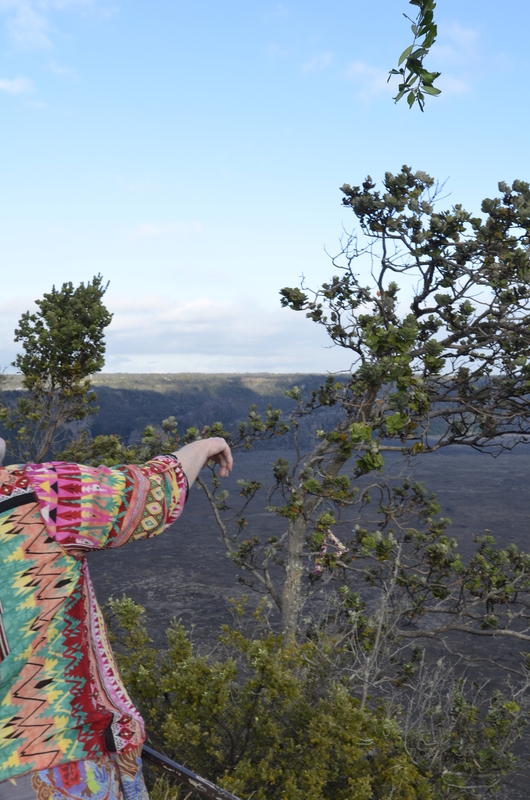 What you didn’t do was the helicopter ride to visit the active volcano. This is one of the most awe inspiring things I have ever done, and I’m not big on awe. David, I don’t do helicopters, that’s why. My first and only helicopter ride was up Waimea Canyon on Kauai, and into the caldera of the island’s extinct volcano. I am still surprised I didn’t have to change my pants when we–finally! Finally!–got back. Thanks for the helpful travel tip, David! No way. Since no immediately obvious alternative lent itself to the moment I also vote for Pele having accepted your offering thereby laying her blessing on your future work. If you get anywhere near that same spot again, I’d appreciate you throwing her a flower on my behalf. No mention today of gleaning any new information to use in the book unless the stories of Pele count.It’s amazing she became so revered when she started off by doing her sister wrong. I hope you continue to have a brilliant time while having much success with your legend hunting.